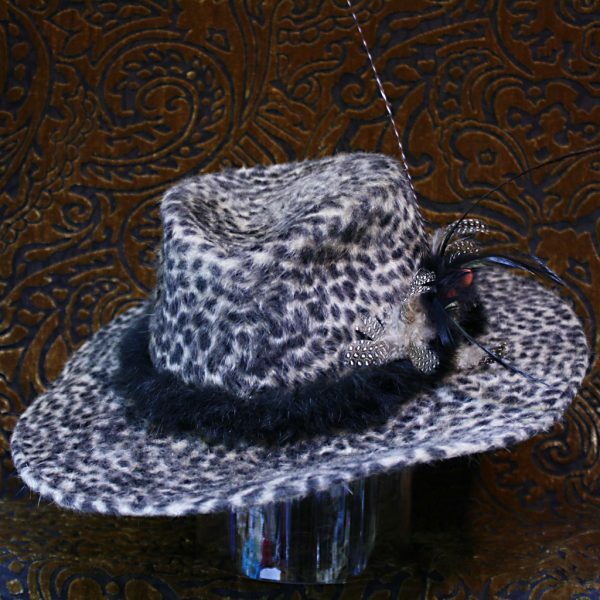 A very soft Baby Cheetah Animal-Print Stetson Hat made in a melusine felt. 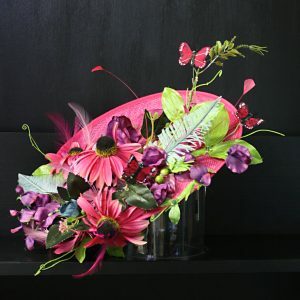 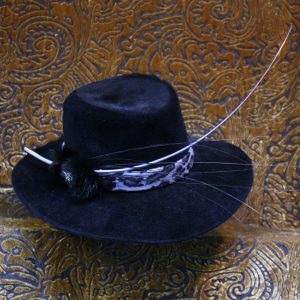 This one is trimmed with blak fur and guinea fowl feathers. 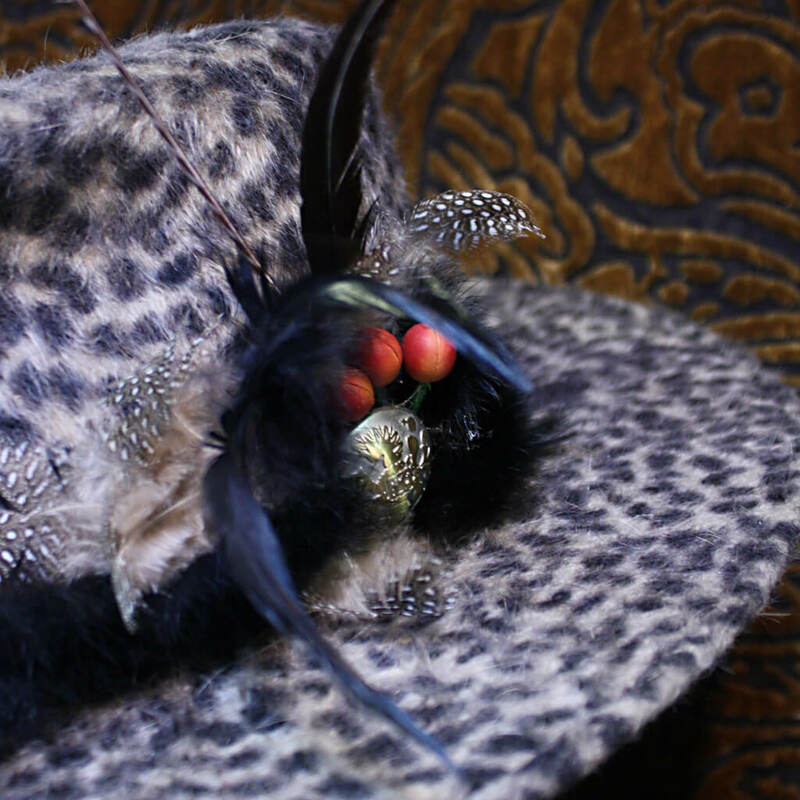 Melusine is the highest quality felt, with a luxurious pile.